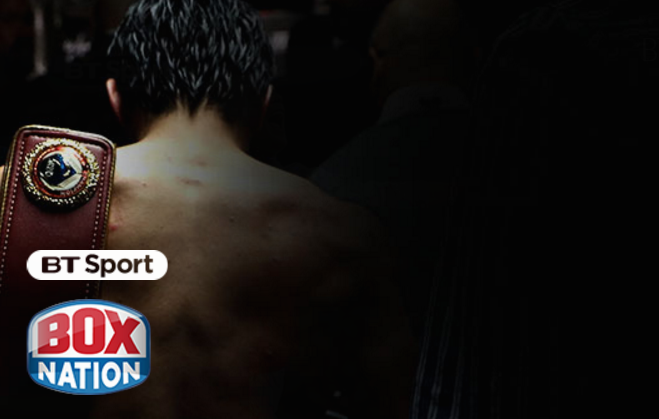 Boxing channel BoxNation has arrived on BT TV, meaning the channel is now available on all major pay TV platforms. BT is offering viewers of its TV services the option to access to the standard definition version of the channel at no extra cost as part of a new deal between BT and BoxNation, first announced late last year. There had been contradictory announcements regarding the launch date, with BT's website at one point advertising a 24th February launch on BT, followed by announcements several days later indicating a 1st March launch. However, BT viewers have now told a516digital that they can already see the channel in their line-up ahead of the official launch. The BT-BoxNation deal covers the two platforms where BT directly sells its pay TV services to consumers: BT's YouView TV service and Sky where the channel is now bundled with the BT Sport Pack on both platforms at no extra cost. On BT's YouView service, BoxNation is available in SD on channel 415. On Sky, the channel is on 437. (Update 24/02/2017) BT-owned Plusnet is also offering access to BoxNation as part of the BT Sport Pack on its YouView based TV service. It quietly added the channels earlier this week. BoxNation SD is also available via Sky for Plusnet customers with the BT Sport Pack. BT YouView users also have the option to watch in HD on channel 439, as part of the BT Sport HD pack. Sky viewers need a separate £12 BoxNation subscription to watch in HD, even if they have BT Sport. All Sky viewers without BT Sport wanting to watch BoxNation need a separate subscription for the boxing channel. BoxNation continues to have separate arrangements for customers with TalkTalk TV or Virgin Media. Freeview users with compatible connected TVs and a BoxNation subscription can also access the channel on 255. EE TV users can find the channel through the "more apps" section of their guide. EE is currently not part of the BT-BoxNation deal despite EE now being owned by BT.